We just got some new machines here with 4 Nividia Titan X Pascals (on a Supermicro dual Xeon chassis). We installed DAZ on one of them. Each and render times seem to be very fast -- a typical scene with an architectural model, a few figures, and 6 lights renderes in about 4 minutes instead of 20 on our dual 970 machine. 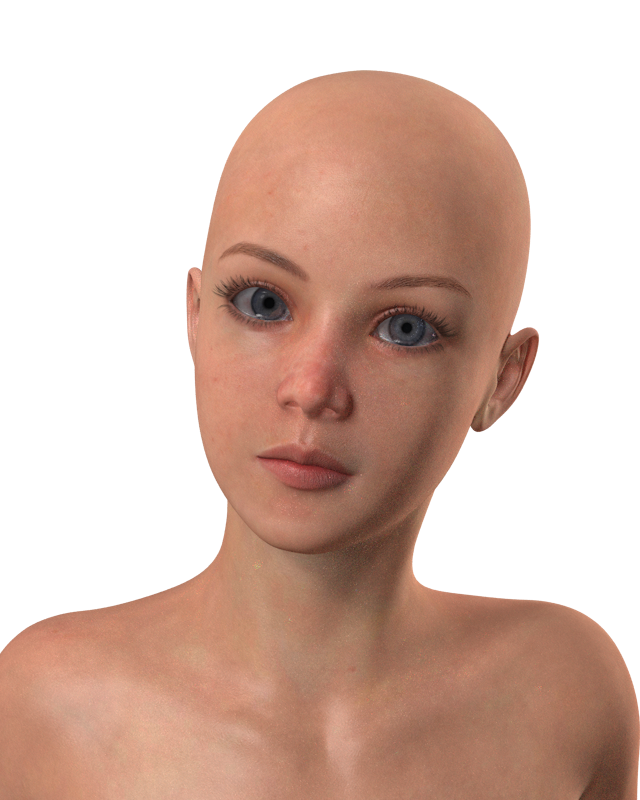 A very simple scene with one Genesis 3 figure, some hair, and clothes rendered in less than one minute. However, I'm not seeing equal load across all the cards in my monitoring app. Not sure if it's because iRay isn't finding them, or if my monitoring app isn't accurate. I also haven't experimented with allowing the render to use the CPUs as well (dual 6-core Xeons). I've seen it go faster when I've turned them off. I'll run some more benchmarks and post the numbers. I'll see if I can import a more complex scene from another app and set it up for iRay. We tend to use DAZ just to quickly pose a few human characters for export into Maya, etc. We did a fresh install on our new Supermicro machine. And there are a number of "orphaned" files in the content database--all of them are the "Poser" versions of DAZ content. There used to be a CMS option to "remove all orphaned items" but I don't see this anymore. One of the release notes indicated it was intentionally removed. Is there a replacement action I can do? I created a new camera, but Blades and Lens proprieties are empty in my DAZ... I'm doing something wrong? Nobody else has my same issue with cameras? I was waiting for it since months and now it seems to not work! Do you really believe DAZ would put a diagonal watermark in renders, like the cheapest shareware from 1981? I've heard that the word "DEPRICATED" appears as a diagonal watermark across all renders. I'm 99.999999% sure that wiz is but having a giggle. D|S has never been able to generate watermarks, else we'd be able to generate layered renders (now that would be cool). That is not helpful...and a flat out lie. The version is updated to 12.0.27 and there are minor speed gains (in progressive/full raytrace). Thanks for the answers guys . I'm glad it was a joke. Had me worried there for minute..lol I have some animation work in progress so you can see why I asked because if there are any updates to 3delight I should be aware of? because this animation has like 120 scenes in it so far, So I'd be pretty upset if I was not able to finish it that is why I asked.? Hmmm , Maybe its best if i just hold off updating until this projects done just to be safe. OK, heres my problem with this release. It takes approximately 2-3 seconds to open any folder in my daz or poser directories. Is anyone else experiencing this? Any ideas? This is in my content directory. OK, it seems to have corrected itself. Back to normal. "The material's volume coefficients are varying in MDL, however, Iray Photoreal only supports uniform coefficients"
So the skins of all my characters won't work any more. Actually, I believe they'll work as they always have. The 'fix' listed is that Iray was allowing Varying values to be input to the Transmitted Color Map, but it never allowed varying. MDL 1.3 specifies that it can be Varying type, but Iray doesn't (yet) support non-uniform transmitted color maps for Volume Shaders. no, he just crawled out from under a bridge. hmm, did I really just type that. OK, I see. Perhaps I mistook it with translucency, where I used the skin texture itself to intensify the contrasts. In transmitted color the Uber shader ever only offered a color input. Ignoring the map is better than not ignoring it and having things mess up...like it used to. Even better would have been making it a straight, nonmappable color...but it does appear that at some point the ability to use maps in that slot will make it into Iray, so they'd just have to change it back later. And yes, maps are fine in Translucency. How many people can explain a concept like "spectral rendering" in one breath, then go on to make a joke that awesome in the next breath? Well, I had the update on my dim on my work computer. However, it does not come up in DIM on my home pc or my laptop. Not sure I want to do a manual install as I have no idea where to put it. Check that the DIM settings at home are the same for work. Maunal installs ..... it should automatically install to the correct location. It's all sitting there in my DIM but I'm a little hesitant to update. limitations. Is there any other advantage to update other than iRay? Check your hidden files just in case for some reason it is hidden. Downloading it on one computer has nothing to do with the others. It will be available for all 3 computers. 2017-01-05 16:42:13.077 WARNING: cloud\dzcloudtasknotifier.cpp(178): Unexpected exception in contentFilterPathsToCloudInstalledContent: could not connect to server: Connection refused. What is trying to CONNECT and why? I dont use Connect so why is ds trying to connect to anything? At startup I get a log file that is filled with server connection failures, libpng warnings, whatever that is. Oh, ok. This 2-3 second delay that I get when navigating to folders is caused by turning off cms which I never use. In passed builds, it tended to slow things down. Now it seems that turning cms off makes ds unbearably slow. I thought this was supposed to fix the failure to connect to CMS bug? Am I going to be stuck in beta-land forever?